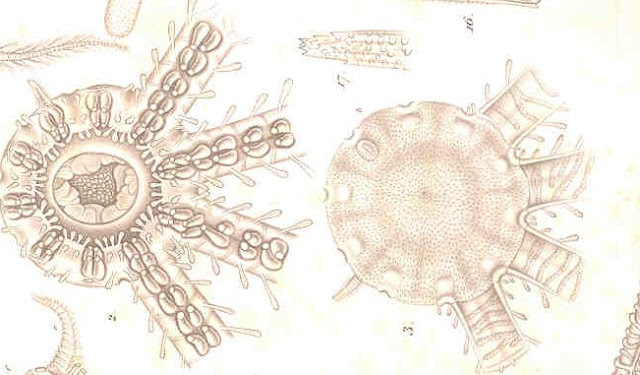 The Echinoblog: Ye Olde Haeckelian Phylogeny-Brisingids Rule! 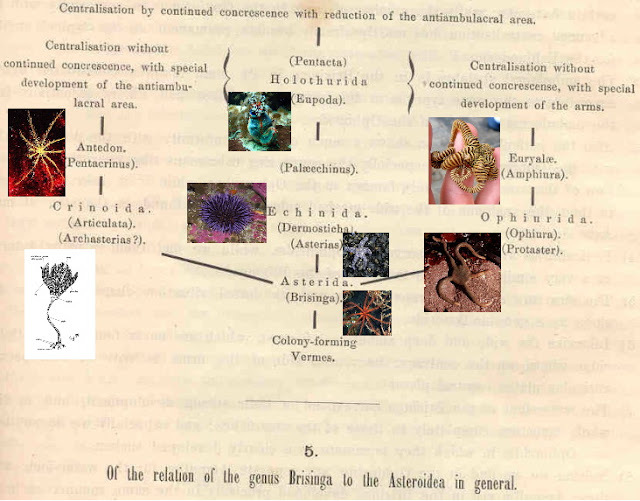 So, the other day, was looking through one of my favorite older monographs "On Some Remarkable Forms of Animal Life...Researches on the Structure and Affinity of the Genus Brisinga" by George Ossian Sars, Professor of Zoology at the University of Christiania and came upon this cool older idea of Echinoderm Phylogeny: The phylogeny recounts some very early and....unusual...ideas about metazoan relationships originally developed by Ernst Haeckel and modified by Sars. 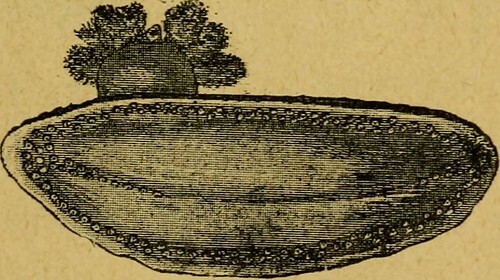 The monograph was published in 1875. Darwin's ideas on evolution had only been around since 1859. I could easily see how this could be "spun" this into the ancestor of crinoids, ophiuroids, and asteroids+echinoids+holothuroids! 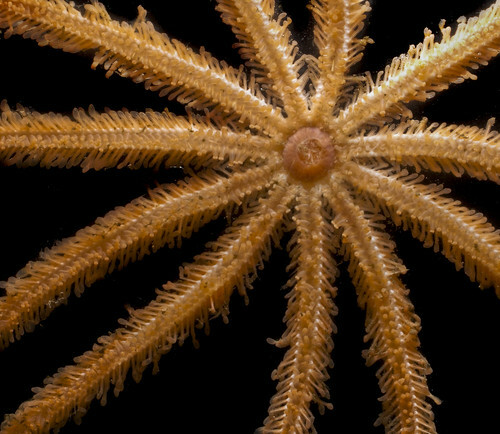 The general gist of the phylogeny from there is that echinoderms were given towards greater "concrescense" or centralization...So from independent worms coalescing to bigger, lumpier things. 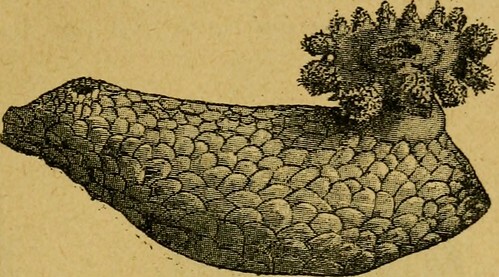 So holothurians or sea cucumbers would be chief evidence of "concrescence"..especially with something like the armored and essentially sessile Psolus, which was seemingly even LESS pentameral than other cucumbers. 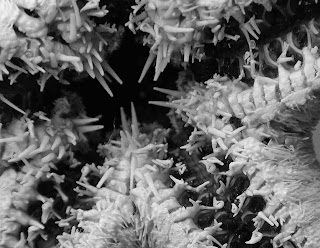 Wow - echinoderms are made out of WORMS???? That is amazing. 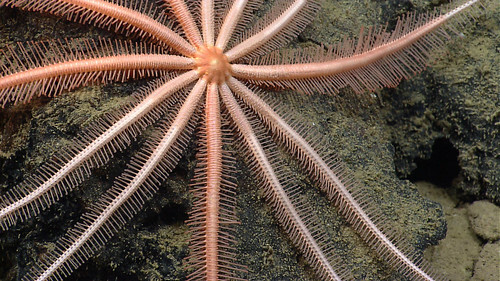 What are the alternate explanations for the evolution of radial symmetry? But they don't have trochophore larvae. The development is all wrong! 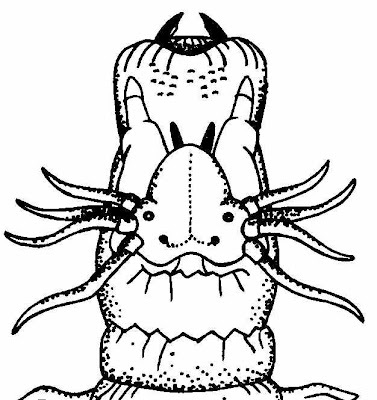 Well, how do you know that five trochophore larvae don't combine into an asteroid larvae?